Recently while in the process of buying a log home we asked Dan to be our inspector. Dan’s inspection process was far superior to the work of other home inspectors we have worked with. He was thorough and detailed in his inspection and his report. We were particularly impressed by his knowledge of the special concerns that log homes present, and we feel confident in his assessment of the condition of the home. In addition, he took the time to answer our questions during the inspection and educated us on many aspects of caring for and maintaining log homes. Even after the inspection was completed and the report was written, Dan continued to be available to answer questions and provide additional resources and information. If we ever buy another home, another inspection from Dan will most certainly be a crucial part of the process. For anyone that is looking for a home inspector I would absolutely recommend calling Dan. Dan just inspected a house for my husband and I. He was very personable, honest and most of all, EXTREMELY thorough. He may have just saved us from buying a house with about $15,000 – $20,000 in repairs. Next house we find we certainly will be calling again. Thank you Dan!!! Thank you Dan. Your thorough inspection of the house gave us extremely valuable information. We used the information to renegotiate the purchase price of the home. The money saved will go a long way toward correcting the problems and making the house a home. Though we were three thousand miles away in California, I took great comfort in knowing that you would look after our interest in New York. I truly appreciate your professionalism and responsiveness. Dan did a fantastic job with the inspection of a home we were planning to buy. He had an exceptional eye for detail, and he produced a clear, throrough report that helped us to be fully informed as we negotiated the purchase of a home in the Buffalo-Niagara area. We are relocating to the area, and, particularly working from a distance, we could not have asked for a better partner. Home inspections are critical to educating purchasers about the home they want to buy. As real estate attorneys, we’ve reviewed home inspections with thousands of clients, and no one produces a better written report than Dan Schaedler. When it comes to referring our family, friends, and clients to a discriminating home inspector, we do not hesitate to recommend Dan. In fact, I wouldn’t ever buy real estate without first consulting Dan’s Professional Opinion. We recently used Dan Schaedler to inspect two homes for our daughter, who is returning to Western New York with her three children after living many years in Canada. We avoided a disaster when we canceled the contract on the first house after Dan discovered inconspicuous but serious structural deficiencies – in a seven year old house! Dan Schaedler is the most thorough and conscientious inspector I have encountered in 40 years of law practice. He is also very easy to work with and most helpful in follow-up. I unreservedly recommend him. I highly recommend Professional Opinion Home Inspection. Dan cares about his clients and will give them a thorough and truthful evaluation of a home. We used Dan on several occasions and his attention to detail on things that we may have overlooked was essential for us in making the right decision. You also get a true learning experience working with Dan as well as the feeling that someone is truly looking out for your interests, your future and your investment. His price is reasonable and well worth it for the time he spends inspecting the house and the detailed report he provides. 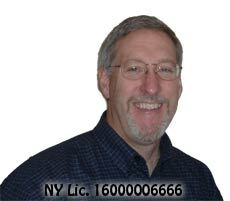 We have recommended him to everyone we can and we suggest you should use Dan for your next home inspection also. I was thrilled with Dan Schaedler’s professional approach to his work, his thoroughness, and his warm, friendly attitude. As a first time homebuyer with little background knowledge on home construction, I didn’t know what to expect or which questions to ask, and I was pleasantly suprised by how Dan explained every detail of the home-both positive and negative-in non-technical language that I could understand. I was impressed by how quickly he wrote and delivered the official report to me; the home inspection concluded at 8pm, and I had the complete report waiting in my email inbox the next morning! I’d highly recommend Dan for any homebuyer. His excellent service was worth every penny (and his fees are very reasonable!). Professional Opinion Home Inspection by Dan Schaedler was the best choice for me and my family. I hired Professional Opinion Home Inspection in the fall of 2001 when my wife and I were looking to buy a home. We had a home in mind but we wanted to make sure it was safe and sound as we were planning on having a family. Dan Schaedler was a perfect inspector, he took us through the home and helped me to: A) understand the things that needed to be fixed; B) understand the things we may want to fix and C) understand the positive aspects of the home. We then received a binder explaining everything we were told. One aspect I personally liked was the time he took to explain things in the household to me as I was a novice with buying a house and household repairs. I felt he explained things on my level. 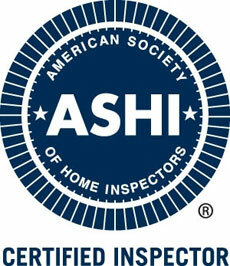 I fully recommend Dan Schaedler and Professional Opinion Home Inspection. Thanks again for the detailed inspection. It is just what I needed to get me going. Thank you again for the great job & feel free to use me as a reference! We were very happy with our experience of home inspection with Mr. Schaedler. He is very thorough in the home inspection process. He detected an extremely costly structural flaw in a home we were about to purchase and we were very thankful to him for that. Mr. Schaedler did our second home inspection and based on that we felt confident to purchase the home. Mr. Schaedler gives you feedback very quickly via e-mail as well as by mail and phone so that you can make your decision as to whether to purchase a home. We are very thankful to Mr. Schaedler because we were able to purchase a good, solid home based on his home inspection. We will continue to recommend his services to anyone we know who is seeking to purchase home. We used Dan Schaedler twice during our search for a new home. The first time we used Dan, we had put in an offer on a house after seeing it several times. Dan’s thorough inspection and detailed report uncovered several significant inconsistencies regarding the condition of the house compared to what the homeowners were telling us. Based on his report, we retracted our offer and avoided a big mistake. We continued our home search and made an offer on another home. Dan’s attention to detail and accurate representation of the condition of the home saved us $9,500. Based on his report, the sellers immediately made repairs of $1,500 at their expense prior to closing. Also, the sellers reduced the cost of the house $8,000 to pay for additional repairs to be made after the close. This would not have happened without Dan identifying the specific need for these repairs in his report. The sellers used their own contractor, and their contractor confirmed the accuracy of Dan’s findings. We bought the house knowing exactly what we were buying. Dan’s inspection gave us the facts we needed to negotiate with the sellers and the confidence to move forward with the purchase. We have no regrets in buying the house and love living in our home. Investing in Dan was the best decision we could have made during the home buying process. He saved us significant dollars and gave us peace of mind. Dan has inspected two houses for us. The first one we were convinced we would buy. Dan came to inspect the house and found things that we would have never even thought to look for. He saved us untold amounts of money in hidden repairs that would have had to be done. As a result we didn’t buy that house. We liked his detailed approach so much we hired him again to look at another house. Although nothing major was wrong with the house we ended up buying, his attention to detail let us know we made the correct decision when it came time to purchase. We continue to recommend Dan to family and friends. We could not have been more pleased to have used Dan Schaedler as our home inspector when we were looking to buy our first home. His wealth of knowledge in all areas of home inspection was both informative and reassuring. As first time home buyers, we were greatly impressed by the thoroughness of the inspection and the amazing attention to detail that he puts into his final reports. His promptness with the final report gave us an opportunity to view the areas that would need addressing prior to closing, which helped us negotiate the final cost of the home. This timeliness of the report also helped to keep the closing process on schedule, which was greatly appreciated. We have already recommended Dan Schaedler to anyone we know who is looking to buy or sell a home and would happily use him again in the future. We were referred to Dan Schaedler’s Home Inspection business from a family member who also recently purchased a home. Dan was very professional and nice the first time we met him. We were very impressed by how he took his time examining each part of the house. We also appreciated the constant updates he would give us during the inspection. The whole time we felt Dan was honestly looking out for us. His rates were also very reasonable. We would 100% recommend him and use him again for any Home Inspection needs.